For over 20 years of speaking, I have had the honor of sharing my incredibly inspirational story of overcoming life's obstacles and have been able to touch hundreds of thousands in the process. I am extremely excited about the opportunity to be able to combine my story with the timeless and proven motivational and sales techniques of the World Famous Zig Ziglar! This powerful duo will guarantee to leave your audience, team and business with a renewed sense of passion for their personal and work lives, giving them the tools it takes to be successful in both areas. From 30-90 minute Keynote Addresses to 90 minute to half day Workshops, I will come to your conference, small business, corporation and team to provide you with one of the most powerful experiences that you could ever hope to provide to your attendees. I'm in the wonderful business of changing lives and I do not take that responsibility lightly making sure that your group will walk away knowing that they are fully equipped to take the next step in becoming successful! I have made it my personal and professional mission to promote the Ziglar Legacy as the most effective, balanced, and proven system for achieving true success in life.We were all meant to succeed. We were all Born To Win. Through countless presentations and publications for over 40 years, Zig Ziglar has communicated the perspectives, the knowledge, and the systems for achieving everything you want in life, by helping others achieve what they want in life. I have been certified by the Ziglar Corporation as possessing the proven information, inspiration, and motivation to help others become the winners they were born to be. I also know without doubt, that you were meant to achieve success in all areas of your life; your personal life, your career, your business, your family, and your community. Contact me and let's work together to help you achieve everything you want in life. Please visit ChadPorter.org for more information and booking directions. If you are looking to hire someone that your audience will be moved and inspired by and at the same time will walk away with new strategies on how to improve themselves and their worlds, you do not want to pass up the opportunity to bring him in. Your team or group will NEVER forget this experience and Chad has proven over the years to leave lasting impressions to everyone he has met and who have heard his story. 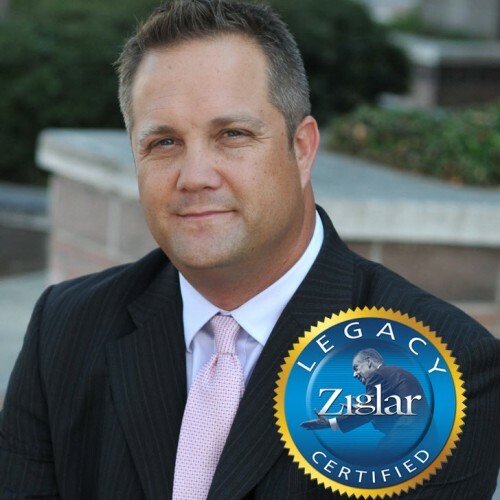 Zig Ziglar Certified Speaker, I have been certified by the Ziglar Corporation as possessing the proven information, inspiration, and motivation to help others become the winners they were born to be. I also know without doubt, that you were meant to achieve success in all areas of your life; your personal life, your career, your business, your family, and your community. Contact me and let's work together to help you achieve everything you want in life. Find out more about Chad Porter at http://www.ChadPorter.org.